Averra Media is a group of Website designers and developers, content development and multimedia designers, graphic designers, professional programmers, visualization experts, and instructional designers. 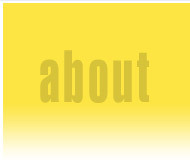 As visualization, multimedia, and programming specialists, we can provide insight that might otherwise be missed. We can team with your other resources, or be your one-stop shop for all of your Web design and multimedia content needs. Our flexibility is your advantage. Averra Media was formed in 1998, however our roots extend beyond that. We recently merged with Discovery Systems International (DSI) a commercial software development company founded in 1992. DSI was merged with Averra Media to create, sell, and support cross platform software for authoring interactive multimedia, computer-based learning applications, simulations, and expert systems. With our experience in commercial software development, we provide insight gained through sharing the experiences of thousands of customers over the years. We combine this experience and expertise with a development process structured to provide you with the best possible solutions available in the most cost-effective manner, in line with your vision, on time and within budget. With our unique combination of skills, Averra can complete your projects with minimal hand-holding. Leveraging our collective knowledge of diverse technical fields in creating effective interactive media. Applying our experience in the commercial software industry towards effective, user-centered Websites and Web applications. Providing the best value in 3D visualization, animation, Web programming, and software development services. Our primary goal is to shape what we do into effective solutions that enable people to creatively translate ideas from thought into information and actions that help others, using technology to help achieve this. We want our services and technologies to enable people to reach out to each other— enhance the sharing of ideas, strengthen business, build rewarding relationships, and build community. 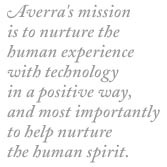 Averra's mission is to nurture the human experience with technology in a positive way, and most importantly to help nurture the human spirit.